A New York Democrat on Capitol Hill has resurrected legislation to expand the country’s background check system and force gun owners to carry liability insurance. 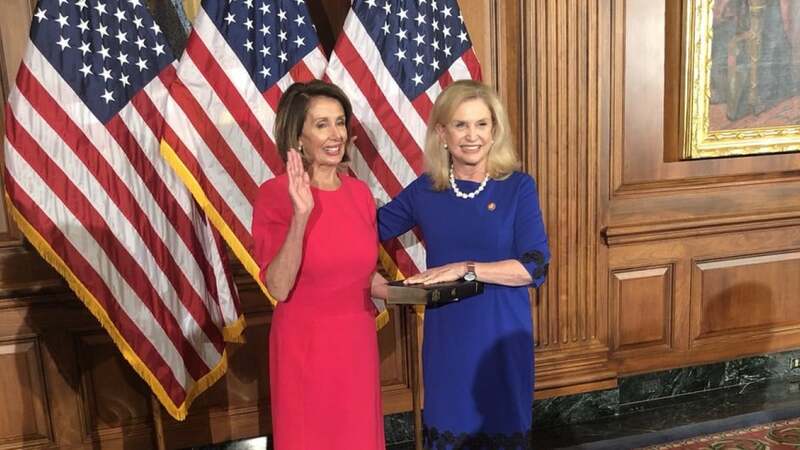 U.S. Rep. Carolyn B. Maloney introduced a trio of bills this week — The Gun Show Loophole Closing Act, the NICS Review Act, and the Firearm Risk Protection Act — with the hopes that, with the Dems back in the driver’s seat of the House, 2019 could see the gun control package advanced. “The group of bills I am introducing today will save lives and promote safe gun ownership by closing the gun show loophole, giving law enforcement the tools it needs to go after fraudulent gun purchases by keeping National Instant Background Checks on record for 90 days instead of just the 24 hours currently allowed, and requiring gun owners to carry liability insurance just as we do car owners,” Maloney said. The gun show bill, filed as H.R. 820, would, according to Maloney’s office, “give ATF the resources and authority it needs to ensure that gun shows do not facilitate dangerous gun sales,” through the use of background checks on all gun transfers at such events. However, a recent Justice Department survey found that the vast majority of criminals get their firearms from “street” sources rather than gun shows and other retail outlets. On the subject of background checks, Maloney’s NICS bill, H.R. 821, would require that the FBI retain all background check data for “at least 90 days.” Current law, in order to prevent the trappings of a federal gun registry, requires that personal information submitted for a transfer is to be trashed within 24 hours after the licensed gun dealer who submitted it receives the go-ahead from NICS that the transfer can proceed. For delayed background checks, which accounted for about two percent of all checks according to a 2016 audit of NICS by the Office of the Inspector General, purchaser information is kept up to 90 days while the transaction is pending. Denied transfer records are kept for 10 years. Maloney’s gun insurance bill, H.R. 822, according to a statement from her office would ” incentivize responsible gun ownership,” through a mandate requiring a would-be gun owner to show proof of insurance before they could purchase a firearm. A former New York City Council member, Maloney, 72, has represented the Empire State in Congress since 1993. In that time she has backed dozens of anti-gun bills each session, including versions of all three which were introduced this week, as well as efforts to add millions in funding to the Centers for Disease Control and Prevention to study gun violence as a health care issue and require “smart gun” usage. Maloney said she plans to reintroduce a number of gun bills that never made it out of committee last session.